Blood transfusion, c1880. 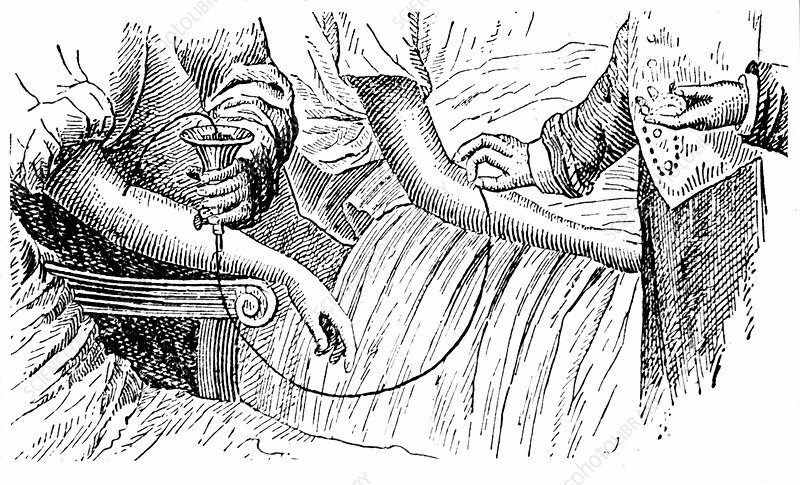 Blood flows from the arm of the donor (left) into a cup, and is then pumped from the bottom of the cup and forced through a canula into the patient. Before use, the apparatus is immersed in tepid water to prevent coagulation. From a technical dictionary c1880.